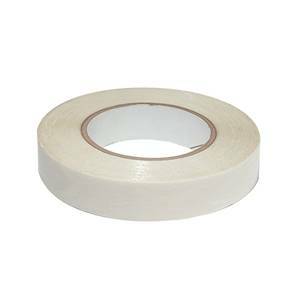 2-sided banner edge seal tape. Adds strength without sewing. 5 mils of adhesive. After applying and folding over edges of banner, you can add grommlets in the folded edges.72 yards per roll. 4/2/2019 – How long is the 1" banner tape? Response From JSISigns: 72 yds.